“There’s a lot of bleak news today, but this is important,” journalist Mariah Blake said Monday, pointing to the Politico report. The public, media, and Congressional reaction to these numbers is going to be huge. …The impact to EPA and [the Defense Department] is going to be extremely painful. We (DoD and EPA) cannot seem to get ATSDR to realize the potential public relations nightmare this is going to be. “Soon after the Trump White House raised concerns about the impending study,” Politico reports, “EPA chief of staff Ryan Jackson reached out to his HHS counterpart, as well as senior officials in charge of the agency overseeing the assessment to discuss coordinating work among HHS, EPA, and the Pentagon.” However, according to HHS, there are no plans to publicly release the study. 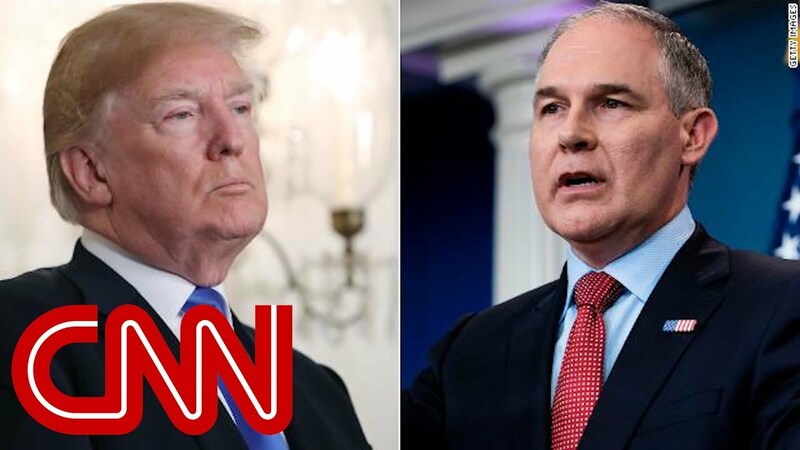 “Only Scott Pruitt and the Trump administration would consider reducing drinking water contamination for the American people to be a ‘nightmare,'” remarked Ken Cook, president of the Environmental Working Group. “This is a big deal,” oceanographer Jamie Collins said of the study and efforts to block its release. Rep. Dan Kildee (D-Mich.), who was raised in and now represents Flint, Michigan—which has been poisoned by a water crisis created by state-mandated austerity measures—responded with a letter to Trump-appointed HHS Secretary Alex Azar, demanding that he “immediately” release the study. Why is the Trump Administration blocking the release of a water contamination study? Families who have been exposed to emerging contaminants in their drinking water have a right to know about any health impacts. For the sake of the health and safety of these communities, the Administration must immediately release the report they have been withholding.